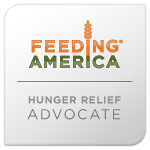 Facing Hunger in America has heard that the Church of Jesus Christ of Latter-day Saints (the LDS Church, or, colloquially, the Mormon Church) has a unique way of aiding the needy and poor in their congregations. So, we decided to visit the world headquarters of the LDS Church, in Salt Lake City, Utah, to find out what they do that’s so different. Caring for those in need is a biblical mandate seen numerous places throughout both the old and new testaments. Fostering self-reliance is similar to the proverb, “If you give a person a fish, he’ll eat for a day, but if you teach him to fish, you feed him for a lifetime.” Helping a person find a job, teaching him the skills necessary for a career at which he can make enough money to support himself and his family, and helping him to manage what he has so it is sufficient are all skills that will foster independence and lead to an enhanced sense of self-worth. Encouraging service to others allows people to give back, and is only possible when they are self-sufficient themselves. But this is what allows the cycle to continue. How does the LDS church put these principles into action? Mel explained that when someone is in need, he or she goes to the Bishop of the local “ward” (congregation of about 500 people). The Bishop is the local leader of the ward, a volunteer position. One of his many duties as bishop is to help those in need. The Bishop sits down with the person in need, finds out why they’re in need, and figures out what would help them. The Bishop then asks that person what they’re willing to do in exchange for the aid they need, and decides what is a fair exchange. The work required may be physical, spiritual or emotional. For example, the Bishop may ask the person to do 10 hours of work at some task, in exchange for an order for 2 weeks’ worth of food, consisting of specific grocery items from the Bishops’ Storehouse. Perhaps someone is in danger of having their utilities cut off. The Bishop may write a check to the utility company, in exchange for the person in need fixing their neighbor’s porch. If a person cannot physically work, perhaps he can read and analyze scriptures, instead. Almost never will the Bishop give the person in need a direct payment of money. Fostering self-reliance means that the Church does all in its power to help people become gainfully employed. As Mel said, “You can’t be self-reliant if you can’t provide an income.” So, the Church runs 326 employment resource centers around the world, offering help to find jobs. There are numerous ways people give back. Members of the LDS Church are asked to fast for two meals once per month, and the money they would have spent on food (or more) is given to the Church. This fast offering supports all of the welfare services of the Church. In addition, members volunteer many hours in all the welfare activities, from the farms to the processing facilities and storehouses. We got to see the welfare system in action on Welfare Square, about a 1-square block area in Salt Lake City. The main building is large, with part set up as a small supermarket, the Bishops’ Storehouse, except there are no cash registers. Those with an order from their Bishop come here to receive food, and a volunteer helps them go through the aisles to pick up all the groceries on their order. There are about 120 different items – not only canned items, but also frozen meat, refrigerated dairy products, fresh fruits and vegetables, and a few other household items such as aluminum foil and diapers. The large number of volunteer workers keep the area absolutely spotless, with every display of food full and neatly arranged. About 80% of the items in the Bishops’ Storehouse carry the Deseret brand name. (Deseret is a Book of Mormon word that means “honey bee.”) These items are all produced in LDS-owned facilities, with mostly volunteer labor. The Church owns ranches, farms, orchards, and various processing facilities that produce these goods. The other items (mainly fresh produce and a few other items) are bought wholesale. Behind Bishops’ Storehouse is a large warehouse, with 3-6 months of supplies and a bakery that supplies bread throughout the western US. 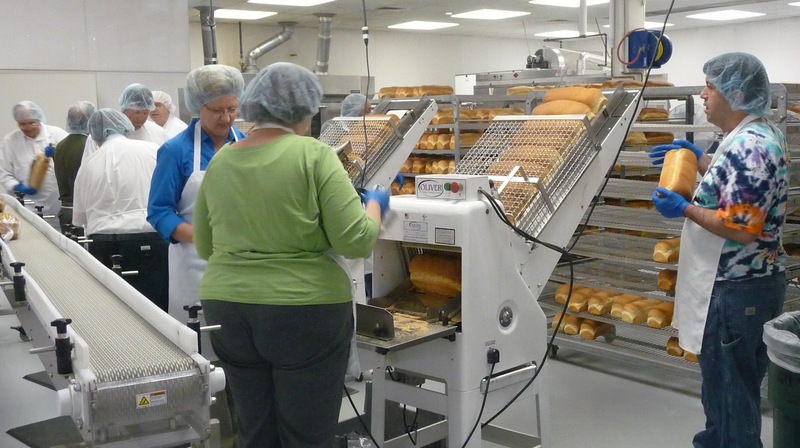 The bakery has four full-time employees, and the rest are volunteers. Elsewhere in this building, there are offices and an area that transients such as the homeless and those just out of prison can go for help, whether they’re members of the LDS Church or not. Those who interview the clients are former bishops who volunteer their time. The clients are asked to volunteer in exchange for help, and given vouchers for food, clothing, household items, and perhaps a bus pass. We continued around Welfare Square, touring the other buildings – there’s a cannery that produces honey, salsa, jams, spaghetti sauce, and applesauce. They make many other processed items as well, and there are other canneries in other parts of the country that make other processed foods. The cannery also includes a home storage center, where members of the Church can come, purchase food items and cans, and seal them for their own long-term food supply. There’s also a grain elevator with 12 silos full of wheat. In a separate building is a Deseret Industries thrift store (one of 43 around the country, mostly in the west), similar to Goodwill Industries. The goal is to train those who need additional skills so they can get a full-time job in the community within 1-1 ½ years. Deseret Industries gives skills assessment, training, language skills, and job experience. It also helps those sent here to determine what they’d like to do, and can work with the community college for additional training. The thrift store allows those in the community to purchase affordable clothes or household items (including some furniture and beds made at Deseret Manufacturing). The last building in this complex is a dairy, where milk from the LDS-owned dairy farms is processed into pasteurized, homogenized milk of various grades, chocolate milk, cottage cheese, cheddar cheese, butter, non-fat milk powder, and sour cream. 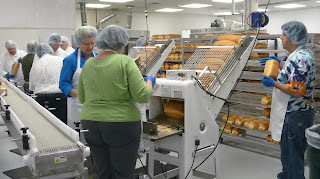 Again, it is spotless, with several full-time employees to run the equipment, test the raw milk and the products, and measure the ingredients, but volunteers are used heavily to do such tasks as cutting and packaging the cheese, placing packages in cartons and then on pallets, and keeping the areas clean. We spent a few hours helping out in the cold (36-degrees F) warehouse (wearing 2 layers of jackets supplied to volunteers). We packed 18 1-lb tubs of Deseret butter into each carton and neatly stacked 65 cartons onto each pallet. In the two hours we worked, we packaged over 5,000 pounds of butter! 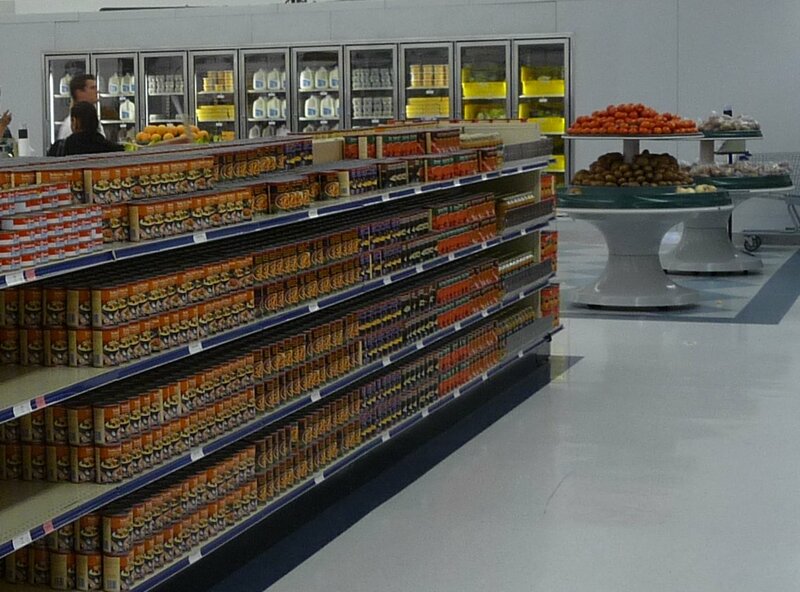 The products manufactured in these facilities (and the other, similar facilities throughout the country) are used to assist members of the LDS church who need the food, and others recommended by the Bishop. But there is typically excess. What happens with the excess? 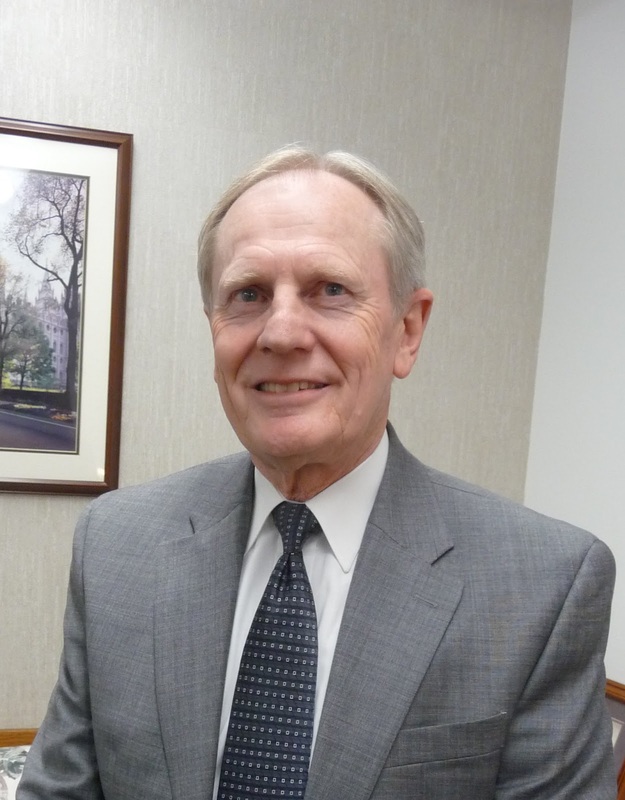 The LDS Church partners with other organizations whose welfare missions are similar (food banks, homeless shelters, refugee agencies, half-way houses for those just released from prison, for example). These organizations may be given supplies from the Bishops’ Storehouse and their clients may be given vouchers for clothing and household items from Deseret Industries. In addition, the LDS processing facilities around the country are often contracted to supply product to other organizations. The peanut butter at your local food pantry? It may have been manufactured in the LDS peanut processing facility in Houston. Or the applesauce? Perhaps manufactured in the cannery we saw in Salt Lake City. It’s obvious that the philosophy of working for what you’re given, and volunteering simply because it’s expected as part of your faith, has led to an abundant supply of food in extremely productive, orderly, and well-maintained facilities. What would happen if your local food pantry asked each person who received food to spend a few hours volunteering in exchange? Would the shelves be restocked more quickly? Would the food donations to the food bank be sorted faster? Could there be more fresh produce from a garden? Would the clients feel better about receiving the food? What else could happen?